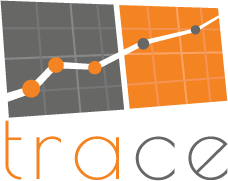 Trace allows users to digitize graphs to capture numeric values from images, especially when the data that was used to generate a graph is unavailable. Trace can handle a large graph sliced into many images, both horizontally and vertically. The National Flood Insurance Program (NFIP) of US Federal Emergency Management Agency (FEMA) studies flood prone areas along streams and shorelines and FEMA's Flood Insurance Study (FIS) reports include water surface elevation profiles for different recurrence intervals. In making changes to previously studied areas, is necessary to compare proposed water surface elevations with the effective elevations. For many old studies the effective water surface elevations are available only in hardcopies. Trace allows users to digitize water surface profiles from hardcopy graphs that span multiple sheets, making graph digitization for the redelineation of flood plain boundaries, based on new topographic data, much less time consuming. EPA's SWMM is a standalone urban water model which stores data in simple text files requiring users to preprocess and manually prepare model input data from Geographic Information System or CAD data files. Streams Tech, Inc. has developed GeoSWMM, a custom ArcGIS based data processing and management tool for EPA's SWMM, allowing users to set up and run the model without ever leaving the GIS environment. 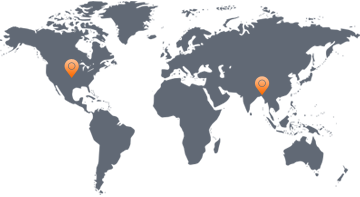 GeoSWMM allows users to efficiently manage and prepare input data and minimize the potential for data errors. Integrity of the model is ensured through automatic validation of data and by storing the data in a database environment. GeoSWMM is 100% compatible with EPA's SWMM Version 5 and the user interface is identical to EPA's SWMM. GeoSWMM eliminates the steep learning curve associated with custom model interfaces and yet gives users access to the full power of ArcGIS. 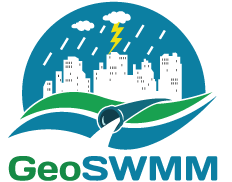 GeoSWMM significantly cuts the time and effort required to develop a stormwater or wastewater collection system model, increases the life of the model by storing the GIS data and model input in a single relational database and reduces the long-term maintenance cost of the model. 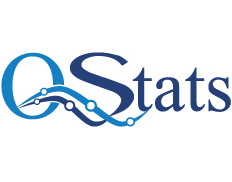 QStats performs statistical flood-frequency analyses of annual-maximum peak flows (annual peaks) following procedures recommended in Bulletin 17B of the Interagency Advisory Committee on Water Data (1982), referred to hereinafter as Bulletin 17B. The following sections document the implementation of the Bulletin 17B guidelines in QStats. This information is intended to assist the user with selection of program options and interpretation of the program output. Program users should refer to Bulletin 17B for the complete and definitive description of the recommended procedures. The Bulletin 17B procedures treat the occurrence of flooding at a site as a sequence of annual random events or trials. The magnitudes of the annual events are assumed to be independent random variables following a log-Pearson Type III probability distribution; that is, the logarithms of the annual peak flows are assumed to follow a Pearson Type III distribution. This distribution defines the probability that any single annual peak will exceed a specified streamflow. Given this annual exceedance probability, other probabilities, such as the probability that a future design period will be free of exceedances, can be calculated by standard methods, as described in Appendix 10 of Bulletin 17B. Program QStats estimates the parameters of the log-Pearson Type III frequency distribution from the logarithmic sample moments (mean, standard deviation, and coefficient of skewness) of the record of annual flows, with adjustments for low outliers, high outliers, historic peaks, and generalized peak skew. The parameter values are used to calculate the percentage points (or quantiles) of the log-Pearson Type III distribution for selected exceedance probabilities. 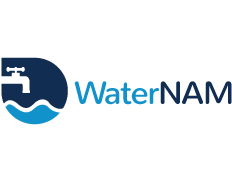 WaterNAM is a geospatial hydraulic model developed by the Streams Tech Ltd. for analysis and design of water distribution systems. It performs both steady state and extended period simulation of water flow and quality, including constituent concentrations and fire-flow analyses, and energy-cost assessment. Many issues in our personal and professional lives have spatial contexts that require maps to visualize and communicate data. 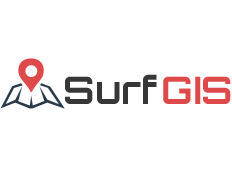 SurfGIS is a Geographic Information Systems (GIS) software which allows users to easily create, edit, view and share mapping data. This GPS-enabled web application provides access to maps online from field locations as well as from office environments through an internet browser on computers or mobile devices. No software installation is required. Creating and editing GIS data in SurfGIS is as simple as drawing points and lines on Google Maps and adding attributes on-screen. Additionally, GPS devices may be used to capture points, allowing users to create their own data. Readily available GIS data obtained from private, educational, non-profit, and government institutions can be uploaded to SurfGIS and integrated with a user's own data and Google Maps to create meaningful maps. The data can be downloaded in ready to use, standard GIS format for use with any other GIS software or to share with other users. SurfGIS can be used to inexpensively and efficiently develop GIS data of physical objects on the ground, including agricultural fields, buildings, trees, trails, manholes, and transit and utility structures, to name a few. 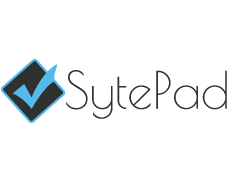 A survey application for handheld devices that runs on Andriod, iOS and Windows 8. Using this application, field surveyors can perform offline field surveys. There is a web based administration panel that allows administrators to create questionnaire for the survey. The type of the questions allows custom branch conditions based on some answers, multilevel grouping in questions, repetition of some questions and more. The questionnaire set by the administrator can then be downloaded in the mobile device and survey can be performed without any further communication with the server. Survey can be performed as many times as required and after completing the surveys, the data can be sent to the central server. While doing the survey, any number of images can be captured with every question, custom comment can be added, free hand sketch can be drawn and GPS location can be captured for GIS based analysis. The application allows generation of summary report based on the collected data. The Adopt Hydrant is a map-based web app that gives citizens access to check and clear hydrants in their neighborhoods during the winter season, making it easier for fire workers to save time, cost and damage during urgent fire-related events. Co-operation from community members is very helpful in lessening damage during winter fire hazards. 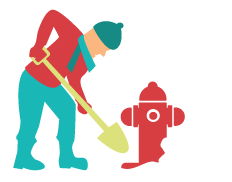 Finding the fire hydrant buried below snow and then clearing it entail a considerable amount of time, which can prove dangerous in terms of delays caused in extinguishing fires and saving life and property. Time tracking is an essential component of any business. 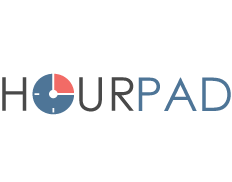 HourPad makes time tracking straightforward and simple. HourPad is easy to use and there are no limits to the number of clients and projects that you can add to the timesheet. It's also secure and safe, and can be hosted at your company internally. Tracking tasks and projects is even easier with HourPad's reporting. LloydsList is a mobile based buying & selling application that allows location based product searching. It uses GIS based intelligence to suggest items that are available within the user's preferred distance settings. Users can maintain their product list that they want to sell. Users can search for products based on categories and view product images and video. After choosing an item, user can communicate with the seller and finalize the purchase.